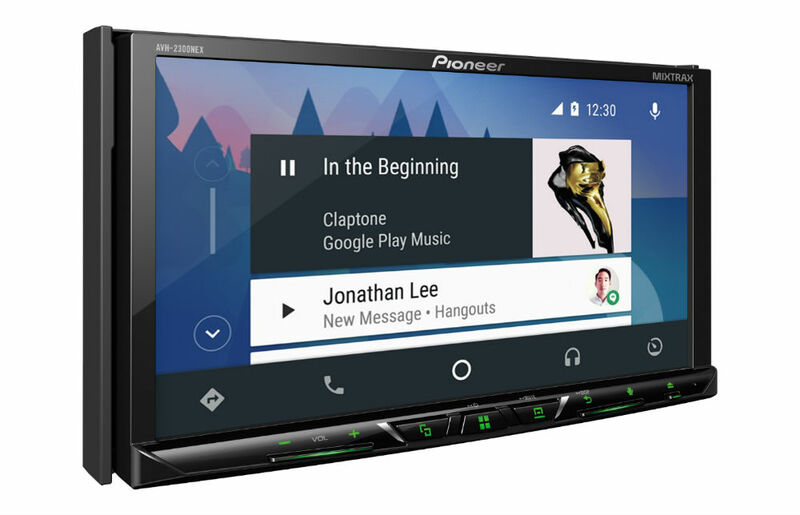 Pioneer announced a new lineup of NEX receivers this morning, five in total, with three designed to bring Android Auto straight to your vehicle at an affordable price. The latest models with Android Auto are the AVH-3300NEX, AVH-2330NEX, and AVH-2300NEX. If that might confuse you, just focus on the numbers, with the 3300 being the most expensive of the trio. Each model features a redesigned user interface, making for navigation through settings and audio equalizers a breeze. Additionally, Pioneer has built in Waze compatibility, adding access to more traffic and road data to potential owners. Like the previous NEX models, a user needs to hook their device up to the unit to power the Android Auto experience. However, you are charging your phone simultaneously during connection, with each model having “Quick Charge” built-in. So long as your Android phone is running Lollipop, it will support Android Auto. According to Pioneer, the newest NEX receivers will be available starting in July. The AVH-3300NEX will cost $600, while the AVH-2330NEX and AVH-2300NEX will be $500.